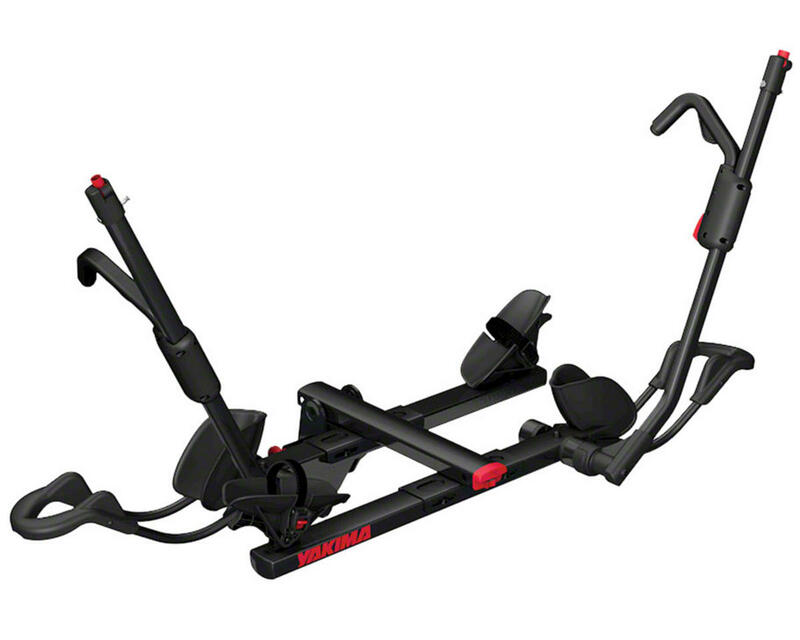 This is the Yakima HoldUp 2" Receiver Hitch 2-Bike Rack. The HoldUp is Yakima’s fastest, easiest way to load bikes. Its beefed-up arm pivot makes it stronger than ever and the side-to-side adjustability reduces the chance for bike-to-bike interference. It’s a road trip companion for life. Zero contact with the bike frame. Accommodates carbon road bikes as well as disc brakes, thru axles and full suspension bikes. Comes with fully integrated security. Locks bike to rack and rack to vehicle (SKS LOCK CORES included). Yakima Roof Rack Tracks: 42"